You're watching Animal Planet and the camera zooms in on five lions lazing in the sun. You think, hey, a pride of lions. In the distance, you notice wildebeest, hundreds of them ... a whole herd. You glance at the aquarium next to your TV and notice that, as usual, your six neon tetras are moving together in a school. Then your pack of four Yorkies jumps up on the couch with you, searching for the cheese puffs they know you've dropped. 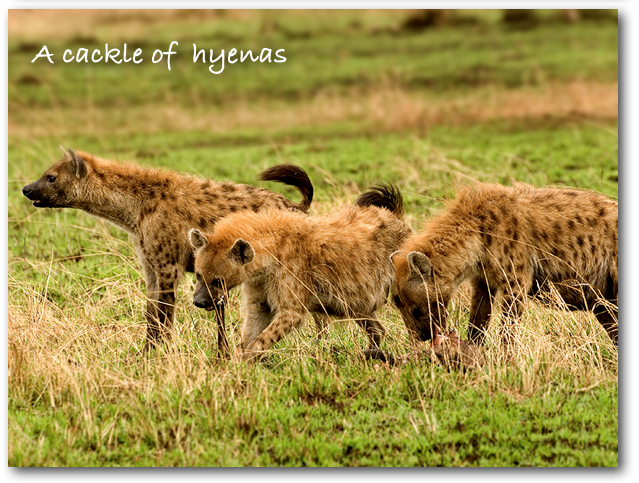 Pride, herd, school, pack; these are words that describe bunches of the same animal. Easy. 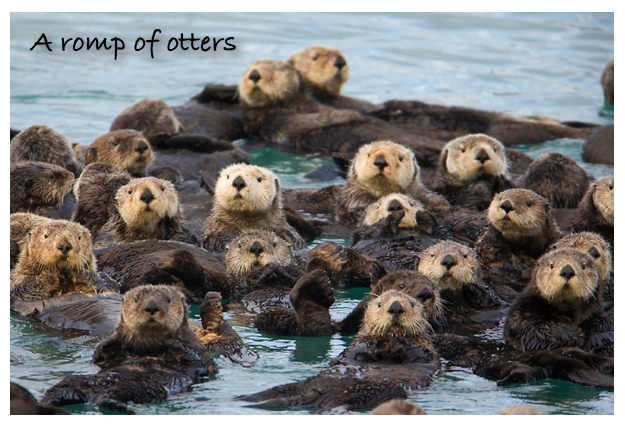 But what would you call, say, seventeen otters? So what would you call a group of bats? A belfry? Comment your idea for an animal group name of your choice! A group of antelope is called a herd. A group of ants is called an army or a colony. A group of apes is called a shrewdness. A group of baboons is called a troop. A group of badgers is called a cete. 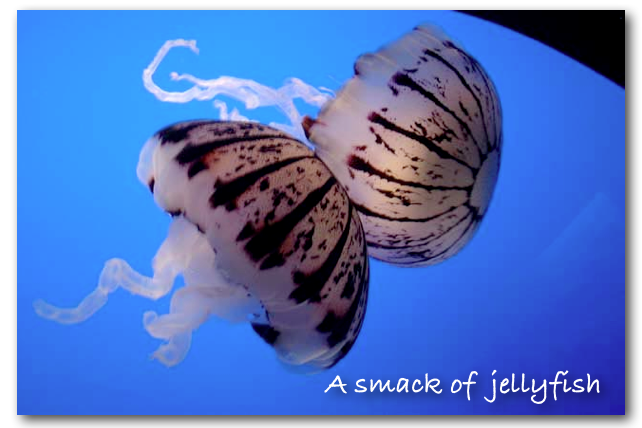 A group of bass is called a shoal. A group of bears is called a sleuth or a sloth. A group of beavers is called a colony. A group of bees is called a swarm, grist or hive. A group of birds is called a flock, flight or volery. A group of boars is called a sounder. A group of buffalo is called a herd. A group of bucks is called a brace or clash. A group of caterpillar is called an army. A group of cats is called a clowder or clutter. 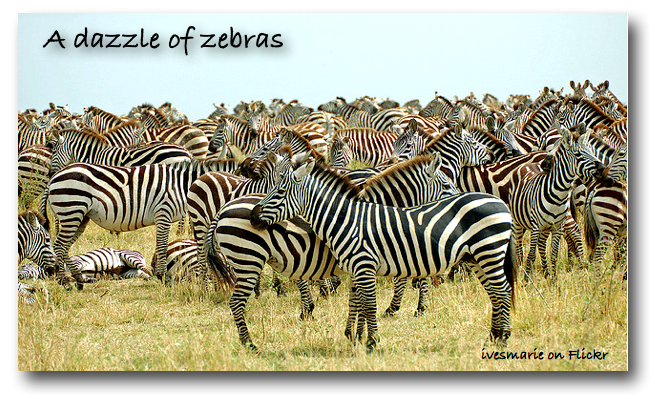 A group of cattle is called a herd or drove. A group of chickens is called a brood or peep. A group of chicks is called a clutch or chattering. 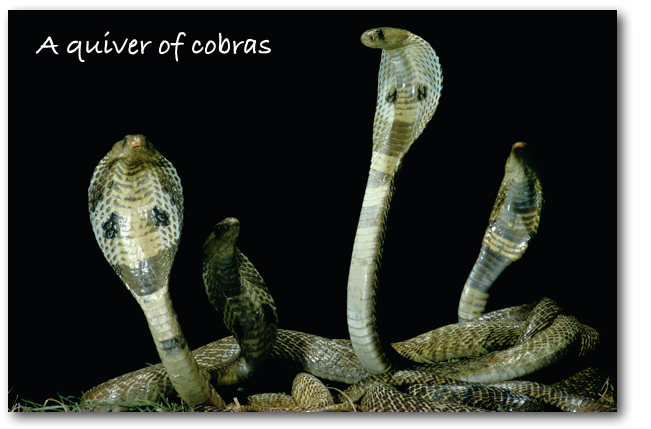 A group of cobras is called a quiver. A group of colts is called a rag. A group of cows is called a kine. Twelve cows is called a flink. A group of coyotes is called a band. A group of cranes is called a sedge or siege. 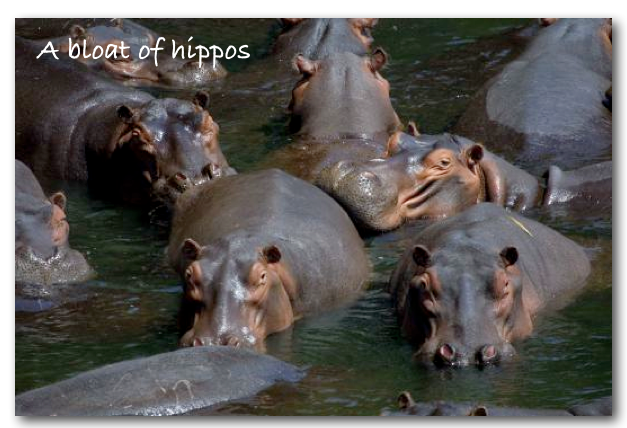 A group of crocodiles is called a float. A group of crows is called a murder. 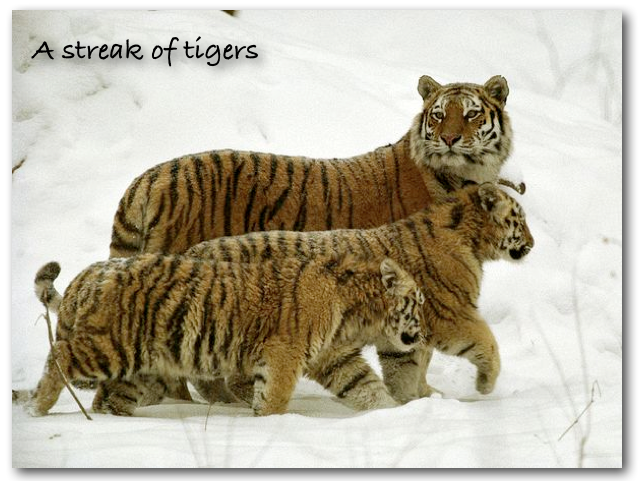 A group of cubs is called a litter. A group of deer is called a herd. A group of dogs is called a pack. A group of donkeys is called a herd or pace. A group of doves is called a dule. A group of ducks is called a brace, paddling or team. A group of eagles is called a convocation. A group of elephants is called a herd or a parade. A group of seals is called a pod. A group of elk is called a gang. A group of emus is called a mob. A group of falcons is called a cast. A group of ferrets is called a business. A group of finches is called a charm. 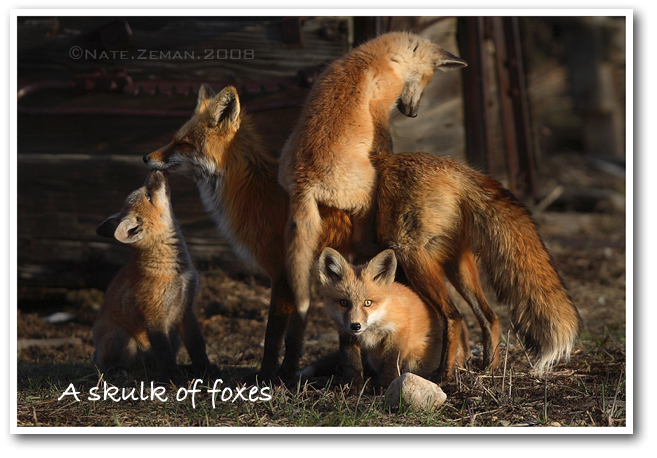 A group of foxes is called a skulk or leash. A group of frogs is called an army or colony. A group of geese is called a flock, gaggle or skein. A group of gnats is called a cloud or horde. A group of goldfish is called a troubling. A group of gorillas is called a band. A group of greyhounds is called a leash. A group of hares is called a down or husk. A group of hawks is called a cast or kettle. A group of hens is called a brood. A group of herons is called a hedge. 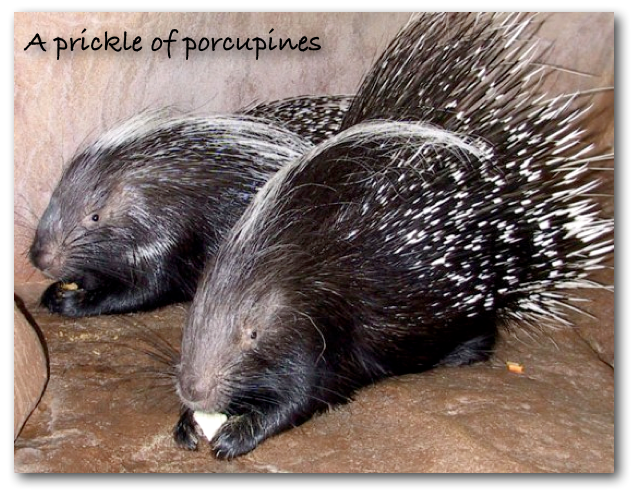 A group of hogs is called a drift or parcel. A group of horses is called a team, pair or harras. A group of hounds is called a pack, mute or cry. A group of larks is called a exaultation. A group of leopards is called a leep or leap . 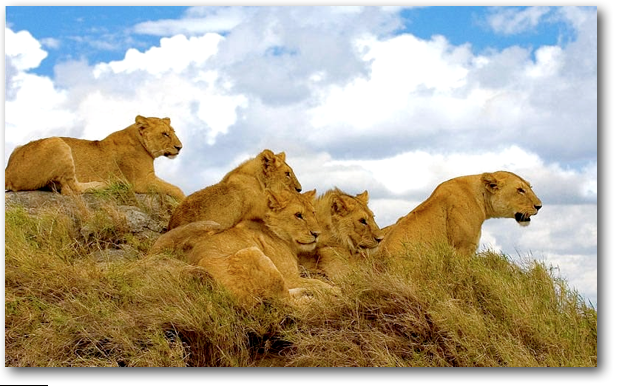 A group of lions is called a pride. A group of magpies is called a tiding. A group of mallards is called a sord. A group of martens is called a richness. A group of moles is called a labor. A group of mules is called a barren or span . A group of parrots is called a company. A group of partridges is called a covey. A group of peacocks is called a muster or ostentation. A group of pheasants is called a nest or bouquet. A group of plovers is called a congregation. A group of ponies is called a string. A group of rattlesnakes is called a rhumba. A group of ravens is called an unkindness. A group of rhinos is called a crash. A group of rooks is called a building or clamor. A group of snakes is called a nest. A group of snipes is called a walk or wisp. A group of sparrows is called a host. A group of squirrels is called a dray. A group of starlings is called a murmuration. A group of storks is called a mustering. A group of swine is called a sounder or drift. A group of teals is called a spring. A group of toads is called a knot. A group of trout is called a hover. A group of turkeys is called a rafter. A group of turtledoves is called a pitying. A group of turtles is called a bale. A group of woodcocks is called a fall. A group of woodpeckers is called a descent . Would it follow then that a group of humans would be called a family, or mob, or family???? Just asking!!!! 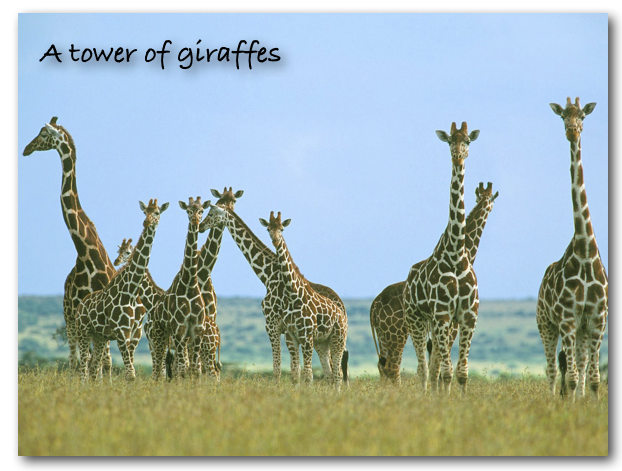 I thought it was a 'herd' of Giraffes not a 'tower'. I love the Cobras!!! they are so cool! So is a group of clownfish a circus?